NOW VR COMPATIBLE with the help of SimVRLabs! NEW DOWNLOAD OPTIONS - !!! READ BELOW !!! Download only the file : "P_180_Avanti_II.zip". Unzip it in your Aircrafts folder. You are good to go! Enjoy your flight! OPTION 2: You haven't the previous version of the Avanti (2.1.0) or any X-Aviation product. Download both files. Run the "P_180_Avanti_Installer.zip". This will install both Gizmo and the previous version of the Avanti. Then you can replace the previous version with the current. NOTE: If you get a pop window to ask you for login details, you do not have to enter anything, just close the window, and the aircraft will work fine. 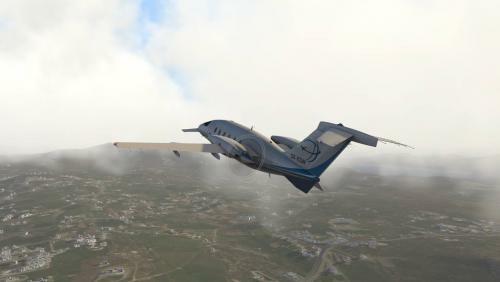 As you might already know this aircraft is based on X-Plane's default P.180 Avanti , originally designed for X-Plane 8, was included in X-Plane 9, and from that point has been overhauled to Avanti II version. This is aircraft is totally FREE! It is a "return" to the X-Plane community that supported us those last 4 years that we exist as a development team! High quality visuals, cockpit all new 3D model and textures, including PBR materials. Simulated: a. startup and shutdown procedures b. engine controls and operations c. autopilot controls and operations d. partially operation of the electrical, pneumatic, hydraulic, fuel systems. 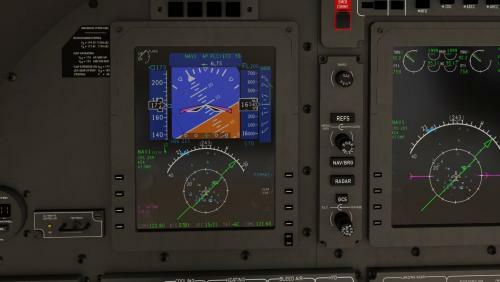 Emulation of Proline 21 avionics suite. 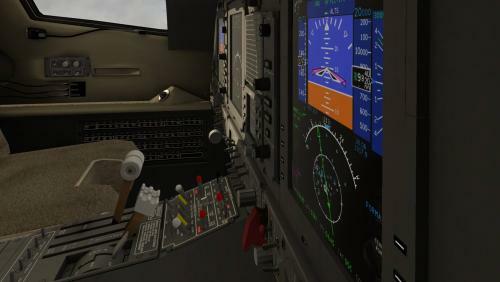 Currently there is only one layout that will allow you to operate the aircraft in all scenarios. Many improvements will come in the future. 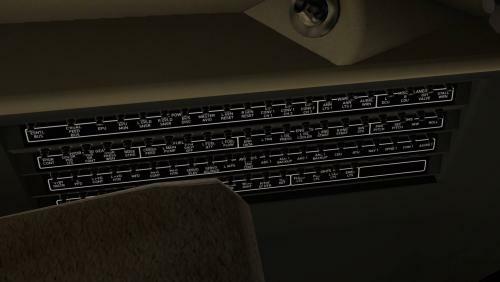 Installation in the 3D cockpit of the default X-Plane 11 FMC. Of course Avanti development is not stopping here! Actually the overall development will be continuous, and the aircraft will always be in beta stage. Updates and upgrades will be available frequently! 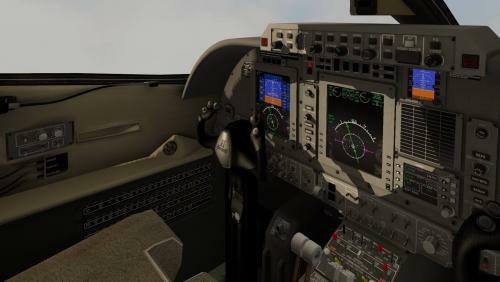 Adding more functionallity to Proline 21 avionics suite, heading from an emulation to a simulation. 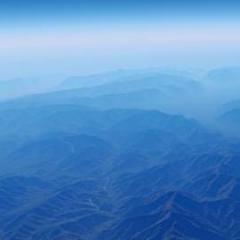 Fully simulation of all systems. New 3D model from ground up. 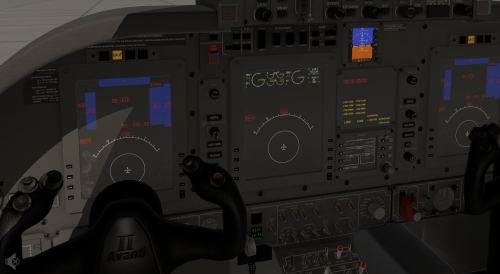 Special thanks to: Austin Meyer for giving his permission to use parts of the Avanti on this project and X-Plane by Laminar Research that gave us this magnificent simulator! The team that originally developed Avanti for X-Plane, Robert Pearson (aerodynamics), Massimo Durando (cockpit & 3D cockpit), and Javier rollon (External Model. JRollonPlanes www.jrollon.com) for his fantastic 3D work. @Hueyman for the propeller 3D model and the prop disc images. Ben Russell of Gizmo64 for his support and that made available to us that powerful tool (aka Gizmo), and Cameron Son of X-Aviation for the support. And of course X-Plane community for the interest in that project and patient to wait to be realized! New outside mapping. Included: 1 basic (white) texture and the XB-KSW. Older liveries will not work. Initial Avitab implementation on MFD (3rd page). No "touch" control yet. New manipulators, due to compatibility with VR. Manipulators for Flaps, Condition Levers, and Throttles with detends. Previous File Hotstart TBM900 N910GE "Shades of grey"
This is impossible now. There are a ton of stuff already adopted that are XP11 exclusively. From FMOD to even PBR materials. I'm stuck on the installer. I am using an iMac and when I get to the "Connect to the Internet" page, I completely lose it. Is the 'server' my IP address? What is a 'port' etc. and where can if find them? have you checked this link? This is the old version. I don't know if it works with XP11, neither provide support. Are you connected to the internet when you are running the installer? 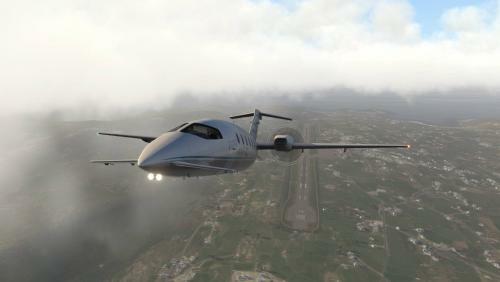 Alike many other X-Plane pilots, I’ve been eagerly awaiting your release, with updates,of the Piaggio Avanti II - truly the Ferrari (turbo-prop) of the skies! Once I’ve sorted out my iMac I will be downloading your creation. Many thanks for all your hard work, patience with we the pilots and I am truly looking forward to more of your very high-quality work. thanks very much for this fantastic development. so my question is : is it freeware or submitted to licensing rules ? Many thanks for the 2.1 update! It's a joy to fly this piece of art but pls remove the reflections from the glass surfaces (ND, PFD). Somehow a snapshot of the base (Runway, taxiway or even the mesh below while flying) is taken and a (moving) reflection of that view are being shown on these screens which makes an already hard to read screens unreadable. Pls see attached screenshots taken while taxiing on apron within a few seconds. This was a clear weather and at around 10 AM in the morning and I could not find a way to increase the clarity of the screens - I guess the correct word for it is contrast. Hope these will be sorted out soon to make this beauty more realistic. I wonder if it is my installation gone wrong somehow or not but I tested on Win 10, XP 11.20vr1. I will now install it to my other XP installation v11.11r2 to see if it is the same. Oh my...! Added now! Thanks again! good to see speed tape numbers to rise correctly, and FMOD(which needs some tuning IMO). Longer one...You need to have Gizmo plugin for Linux. Was available few months ago, but now, due to the lack of interest from Linux users, Gizmo is not support Linux any more. If you have the plugin, then you can use wine to install the plane. Do you have an other paintkit available with more layers ? Currently no, because I'm planning in the future to redo the whole 3D from scratch. If I find some time in the next days, I might do something for the current layout. Is there a "fix" for this? I was really confused when I loaded up X-plane to be greeted by something asking for a license. Would be really nice if this used sasl rather than Gizmo64 since it does not require the authentication part of that plugin. But it doesn't, and you're getting something for free. Can't be too nitpicky all the time. You mean to close the popup window, not the Gizmo plugin, right? Re SASL: I'm using Gizmo in my payware projects (aka DC9), so when I have some to spend to do some stuff for Avanti, it is logical that I will go with what I'm using on a daily basis. 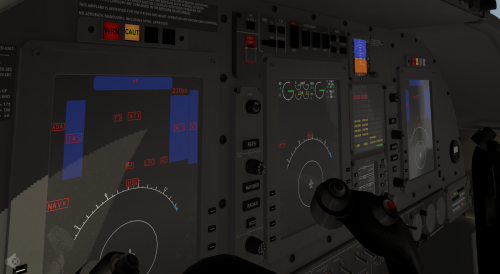 After all it is proven that Gizmo is very powerful, with 2 of the best aircraft simulations, run on Gizmo (IXEG 733 and LES Saab 340A). And since I want that horsepower available to me, for things that will come, even for the free Avanti, I ask from you, that for now, accept the small annoyance to have to close that popup window.